When you urgently need the number of a friend or business contact you wanted to get in touch with, the chances of you carrying a 10 pound dumbbell-equivalent White Pages or Yellow Pages directory in your pocket are pretty slim. Even if you do, sifting through pages and pages of fine print will leave you scratching your head for a while before you find the number you are actually looking for. Enter Truecaller – an Android app that empowers you with the ability to freely carry and access a global phone directory with amazing caller id and call blocking features that can be carried in your pocket wherever you go. And what’s best about this app? You get to know their phone numbers too. That’s right, phone numbers. Not even the almighty Facebook can provides you with that feature. It is an app that acts as a caller ID. In fact it is a universal Caller ID which displays the name of the caller, irrespective of whether their number is stored on your smartphone or not. Invasion of privacy you say? That’s a rather debatable and controversial issue that may be a polarizing issue for new age tech users. Luckily, True Caller takes a rather smart and diplomatic approach to this matter by giving people the ability to request their number for delisting from their database if they are concerned about their privacy. The arguments may equally swing both ways; however, the app has evidently emerged as a super-successful app with more than 12 million downloads. Now creating an app that has the Yellow Pages in the tip of your hand is indeed a daunting task for developers. So True Caller ties up with a multitude of yellow/white pages in order to populate their database. Other than that, they rely on the phone books of over 12 million users, who in turn can give them access to about 750 million+ contacts. Of course this is subject to the permissions enabled by the user. So now that the app has been so modest to share data, what all is it that they gain access to? They maintain that they access only the names and phone numbers and express no interest in the pin codes, credit card numbers and passwords. True caller also enables you to look up a number in case you missed the call and didn’t see it then. The user adds the number in the search filter and True Caller looks it up in the directory. 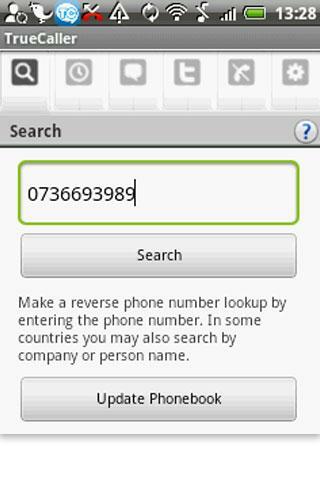 If you are still unable to search for a number activate the ‘enhanced search’ on the app settings. But calling through the app is not a feature as it is a caller ID service provider and not a calling service. They also have a standardize message format to avoid spam and anonymous messages. Here’s a short list of key permissions the users have to authorize for using the Truecaller Android app. Full Network Access to communicate with Truecaller servers and perform name and number searches. Read your Contacts to check if a number exists in the phonebook. Disable your screen lock to display the Caller Id window on locked phones during incoming calls. Find accounts on the device for push notification that relate to Facebook and other social networks. View Network Connections to check if the device has an active connection. Receive data from the net for push notifications. Modify Phone Status to block calls and SMS/Texts from unwanted callers. Read call log to fetch and clear the call log. Control Vibration for alerting when a new Truecaller notification has arrived. 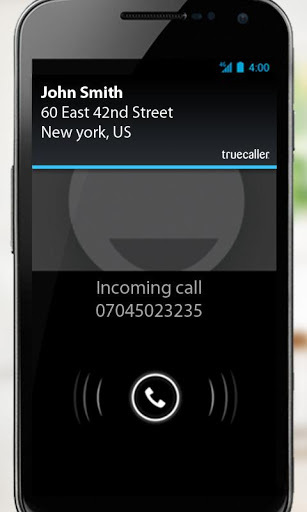 To sum up, Truecaller is a global phone directory in your pocket. Before Truecaller, there really was no convenient way to search numbers. It now provides for a dynamic database that is being updated as you read this. With an average rating of 4.5 stars, it’s a definite thumbs up for this remarkable app.